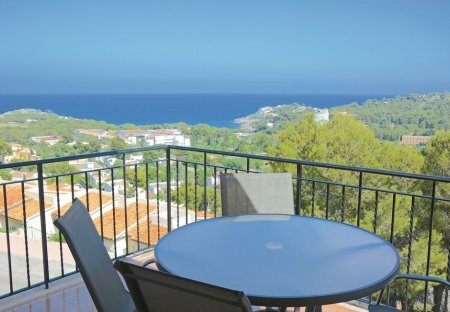 Rent apartments in Font de Sa Cala, Majorca with swimming pools. This elegant apartment on the hillside is just 1 km from the bay with a gorgeous beach. From the living room / dining area, you have access to the sunny terrace overlooking the shared swimming pool.